Killer climbing, but a bit runout. 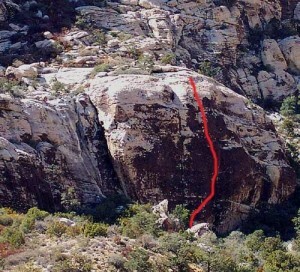 Two bolts plus lots of thinner pro in horizontals protect a wild, exposed climb. Which SuperTopo guidebooks include a topo for Chicken Eruptus?